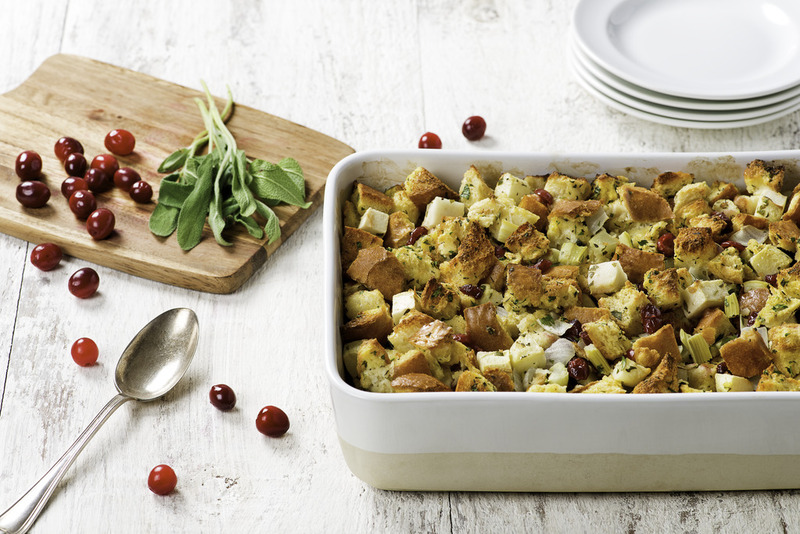 Add a hint of sweet flavour to this Classic Holiday Stuffing with sautéed Granny Smith apples and dried cranberries. Preheat the oven to 400°F (200°C). Melt butter in a large skillet set over medium heat. Add onion, celery, garlic, sage, thyme, salt and pepper. Cook, stirring frequently, for 7 minutes or until vegetables are softened. Cool slightly. Toss vegetable mixture with bread, eggs and parsley. Stir in broth gradually until well combined. Transfer to a buttered 9x13-inch (3 L) casserole dish. Bake for 30 to 35 minutes or until set in the center and golden on top. Let stand for 5 minutes before serving. Cook a large peeled and chopped Granny Smith apple with the vegetable mixture and add a handful of dried cranberries with the broth to add a touch of sweetness to this classic stuffing (as shown in recipe image). Make this stuffing gourmet by adding chopped roasted chestnuts and cooked, browned sausage, and fresh herbs. 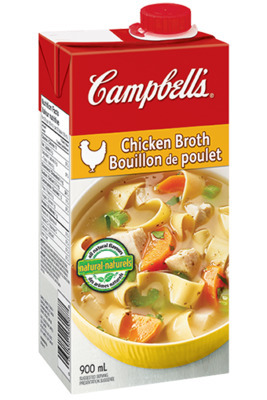 For those who are looking for a healthier alternatives for Thanksgiving Dinner, try our Low-Sodium Chicken Broth.